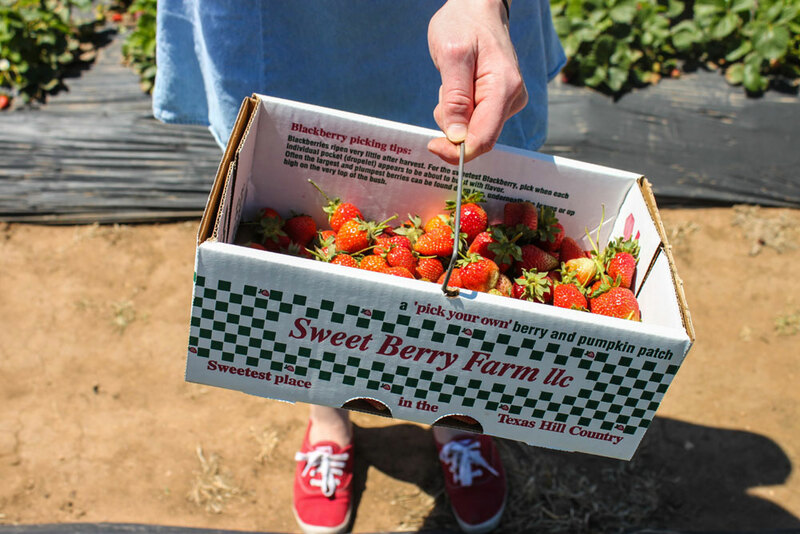 Spend a sunny day picking berries at Sweet Berry Farm. 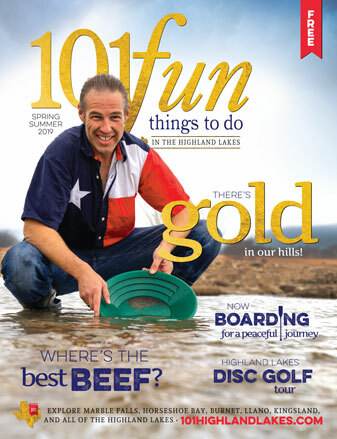 Located in Marble Falls, this homegrown farm is the perfect family-friendly destination. Start a healthy tradition and go out picking the delicious berries that are in season! Sweet Berry Farm is open seasonally during spring and fall harvests. The spring season runs from mid-March to early June, and the fall season runs from late September to early November. During the springtime, the farm grows several hundred pounds of ripe berries. Visitors can gather strawberries and blackberries to fill up their picking baskets. Note that outside baskets or containers are not allowed. The picking boxes are 75 cents each — but they are reusable! Each box can hold $15-$20 worth of berries. Be prepared to do a whole lot of squatting to reach the low-lying berry plants. We recommend wearing comfortable shoes and breezy clothing. Be sure to apply sunscreen — there is zero shade in the fields, so the sun is strong. Sweet Berry Farm is cash and check only, so be prepared. An ATM is located on site. During the fall, Sweet Berry Farm fully embraces pumpkin season. While the farm doesn’t grow its own pumpkins, they get plenty delivered from growers in the Texas Panhandle. The pumpkins come in all shapes in sizes, so visitors have plenty from which to choose. The farm cultivates a hedge maze over the summer, which is shaped just in time for the fall season. Visitors can explore a field of zinnias and pick their own flowers. The cost includes the flowers, a vase, and water. Make a day of it and pack a picnic. The farm allows guests to bring in outside food and drink to enjoy at their shaded tables. On weekends during the fall, The Pumpkin Grille serves hot dogs, peanut butter and jelly sandwiches, pickles, chips, and drinks. 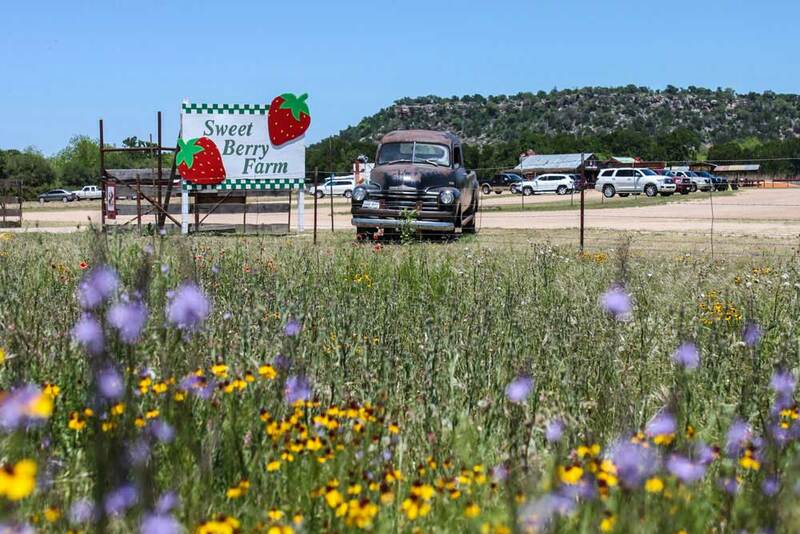 Have a taste of Sweet Berry Farm’s homegrown goodness!The farm uses their own fruits to create jams, fruit smoothies, strawberry lemonade, popsicles, and ice cream. Be sure to stock up on your way out. 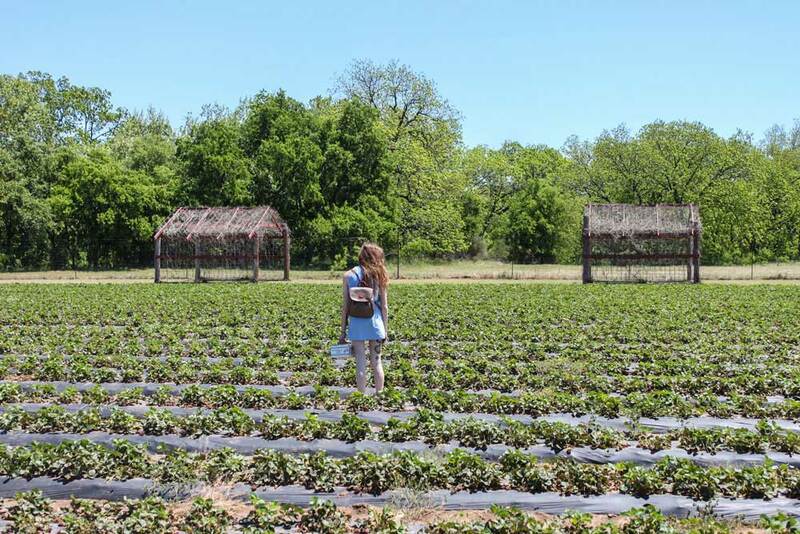 Sweet Berry Farm is open 1-5 p.m. Sunday and 8:30 a.m.-5:30 p.m. Monday-Saturday. It’s closed Wednesdays. There are no parking or entrance fees. The farm is located at 1801 FM 1980 in Marble Falls. Visit sweetberryfarm.com or call (830) 798-1462 for more information.